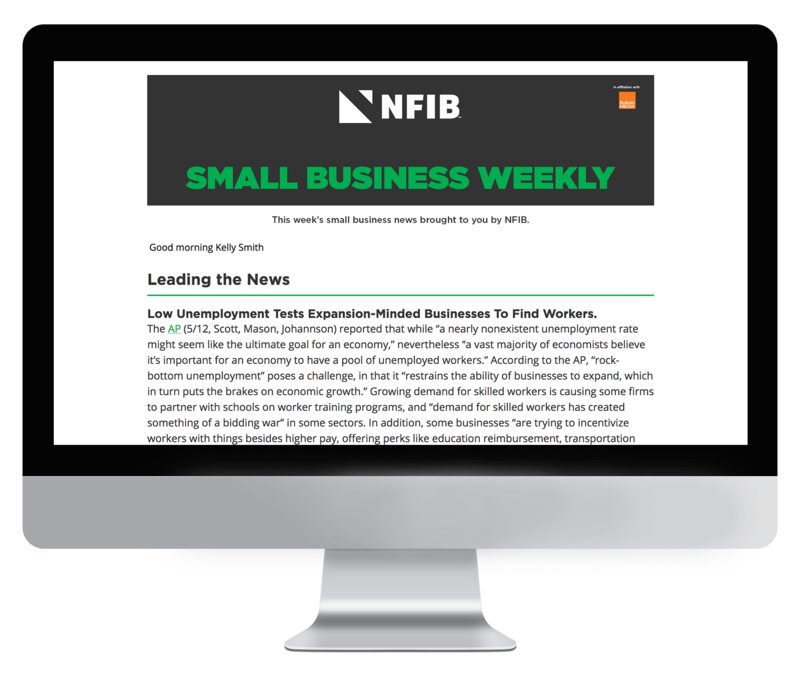 Small Business Weekly is a weekly email news briefing tailored to the needs and interests of independent business owners, and summarizes key media coverage of business, economic, and policy news over the previous seven days. The briefing is delivered to members of the National Federation of Independent Business (NFIB) each week. Subscription to Small Business Weekly is exclusively limited to NFIB members. If you are a member of NFIB and would like to receive this briefing, please reach out to the association directly.